The amendments introduced lately into the system of registering (propiska) residents in domiciles in Tashkent City and Tashkent Region have complicated the lives of many socially vulnerable groups, including former residents of orphanages, which are now called Houses of Mercy. Apparently the legislating officials have forgotten that temporary guardianship institutions (legal entities) are the orphans’ guardians, where permanent propiska is now prohibited. As a result, once the orphans achieve adulthood, they not only loose a house they used to have, but also they are no longer registered at any domicile, which is no less scary. It was not easy to find people ready to discuss the fate of former orphanage dwellers. Those officials responsible for societal issues demanded “special arrangements” and hid behind “special permissions” they had to obtain for such a conversation. Only the Sen Yolgiz Emassan (You Are Not Alone) Charity Foundation under the patronage of Lola Karimova-Tillayeva, Uzbek President Islam Karimov’s younger daughter, issues such permissions officially. It is perhaps unnecessary to say an independent journalist has no chance to obtain such “permit” in the totally closed political system. And yet, there were a couple of brave souls, who are well aware of the problems Uzbek orphans face and ready to discuss the topic. Uzbek President Islam Karimov signed the bill on “The list of categories of Uzbek citizens eligible for permanent residence in Tashkent City and Tashkent Region” into law on 15 Sep 2011. But en-mass denials to register citizens have already been going on for a long time: Tashkent city officials came up with various excuses to decline application documents. It is also noteworthy that no member of parliament or any other official is not embarrassed that the document in question contradicts the very constitution of Uzbekistan. For instance, Article 28 guarantees the freedom of movement within, departure from and arrival to the country; Article 18 reads that all citizens of Uzbekistan are entitled to equal rights and freedoms, and are equal before the law independently of the place of residence or propiska. 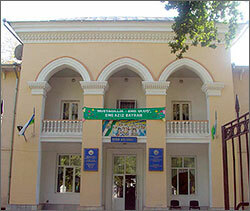 However, those who have literally usurped power in Uzbekistan abide by the laws as an exception, not a rule. Human rights advocates are certain that the Uzbek government is playing by double standards: on the one hand, the legislation is allegedly “improving,” and the control over the population is getting stronger, on the other hand. Such regulations obviously limit internal migration, which nullifies the common citizens’ legal rights and interests. The orphanage residents have thus turned into “dead souls”: they both exist and do not, since they actually live in Tashkent but cannot claim propiska privileges. A female employee of a commission for matters of the underage under the Tashkent city hall agreed to comment on the condition of anonymity: “We have sent numerous letters with propositions and statements to the department of arrivals and departures and citizenship [under the Internal Affairs Ministry] and the Ministry of Justice with the goal of filling the gaps in the law, yet nothing changed. According to the latest amendments to the law, the document with the aforementioned list of people lucky enough to enjoy Tashkent propiska reads that “those under care have the right to obtain propiska at the domicile where the guardian (trustee) has permanent propiska». Then, what about the orphans in orphanages? “Because even temporary propiska (not to be confused with temporary registration) has been cancelled, the orphanage residents’ lives are extremely complicated,” laments a female employee for legal defense of minors in Almazar District of Tashkent. There is virtually nobody willing to dwell into the details of their existence (no other noun would properly describe their lives); they keep knocking on locked doors. During another visit to the passport bureau to discuss the orphans’ propiska problems, they were blatant to say “Let the orphanage director grant them propiska at his house!” in our face. That’s what the law says, you know! If graduates of mercy houses in the capital have to prove their have the right for a normal life, then one could only guess what those in the rural areas face… According to information we have, the situation is dire in Samarkand, Fergana and Kashkadarya. According to a worker of a mercy house, local officials do not even try to conceal their irritation when the issue of orphans is brought up; they usually resort to the “Wait!” order. In other words, supposedly there is no affordable housing constructed in the country and the orphans have to “wait” until “something” become available “somewhere” in a communal housing or even in an auxiliary facility. Mercilessness of state officials has become an epidemic in this country despite the fact they are obliged to care for children, including orphans, under their jurisdictions. While there are “no funds available” for orphans, these very officials are capable of mustering billions to build lavish private mansions and palaces where no one lives. According to sources familiar with the matter, frauds with real estate assigned for former orphanage residents is something of a routine for officials in the capital. It suffices to remember how current Tashkent Mayor Rakhmonbek Usmanov has sold the city’s elevator management company and its properties for dirt-cheap at public auctions and then reselling them at their current market value. To be sure, this is the man who signs the “special permits” to grant housing for former mercy house residents! Due to the criminal schemes Usmanov and his close people plotted, only several apartments from over 400 in the “elevators’ buildings” are now left as the city’s property. Orphans? What orphans are you talking about?.. An employee of the guardianship department under the Yunusabad District of Tashkent City said that despite all the disadvantages, orphanages in Tashkent were much better off unlike the regions, where orphanages are in much worse condition. “Each graduate of Mercy Houses receives 7 million soums (3,300 USD at the official exchange rate) from the Ministry of Finance on their personal accounts upon graduating from colleges and lyceums,” the official has proudly said. “If spent wisely, that money will last long.” But the official fell short of mentioning that withdrawing that money from the account is a very difficult task.